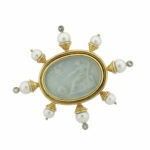 Elizabeth Locke bezel set intaglio brooch, in 18 karat yellow gold, with 8 cultured pearls extending from the center, and 4 round aquamarines at north, south, east, and west. 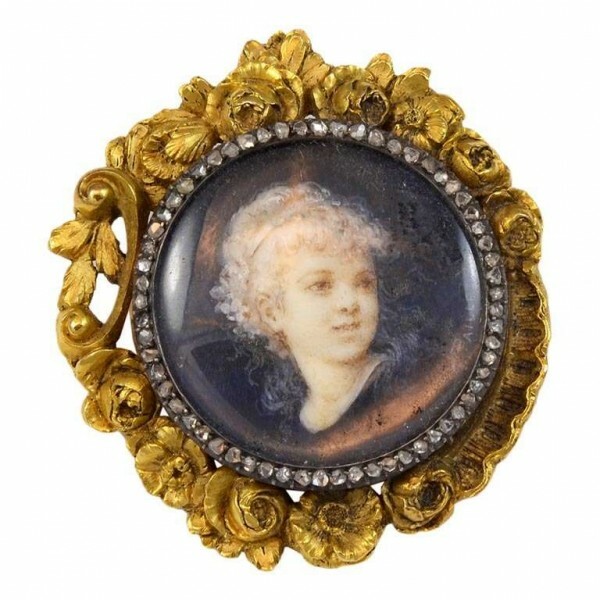 The brooch has a double pin back for extra stability. Signed with the Elizabeth Locke insignia.